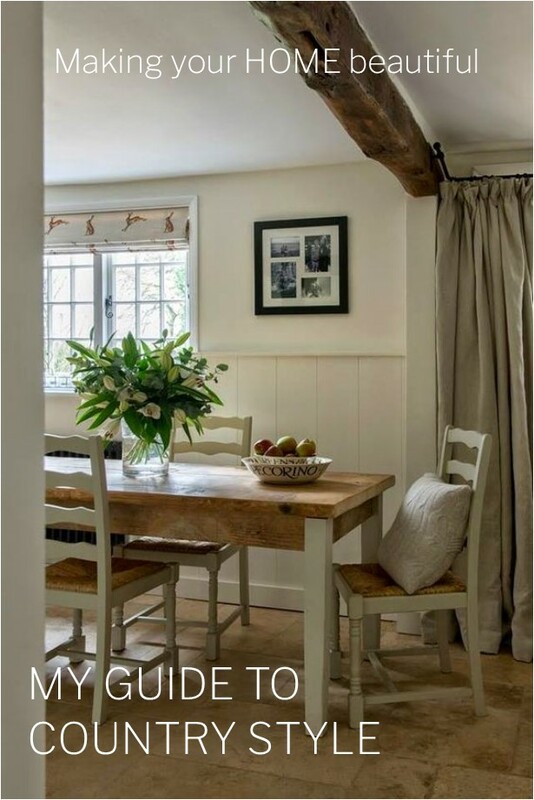 Country Style covers a wide range of looks and will vary greatly depending upon which country you are in so this guide is to show you how to get the general look and feel. Later I will be writing in more detail about the different types of country style as it is definitely one of my favourite looks. 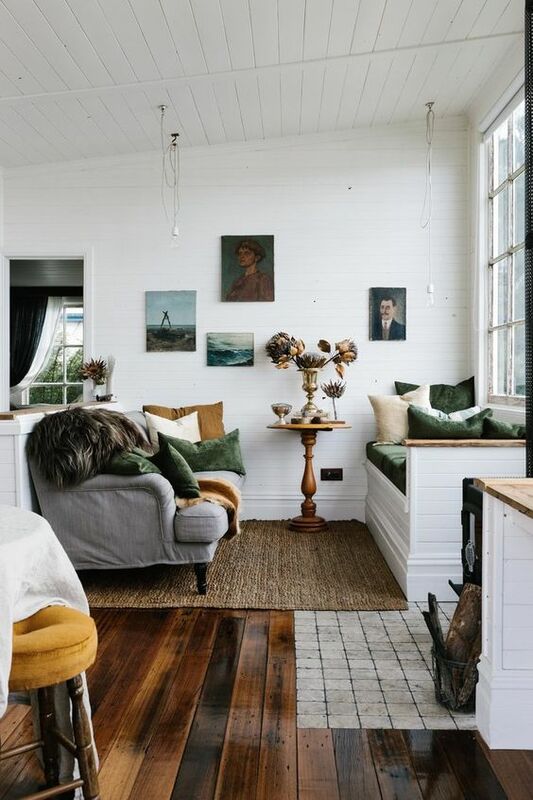 From American farmhouse to English cottage style and the beautiful homesteads in the Australian countryside, the look is soft and welcoming and there are a number of elements in common for each look. The most important element for a country style that works is to ensure the look is relaxed and comfortable. 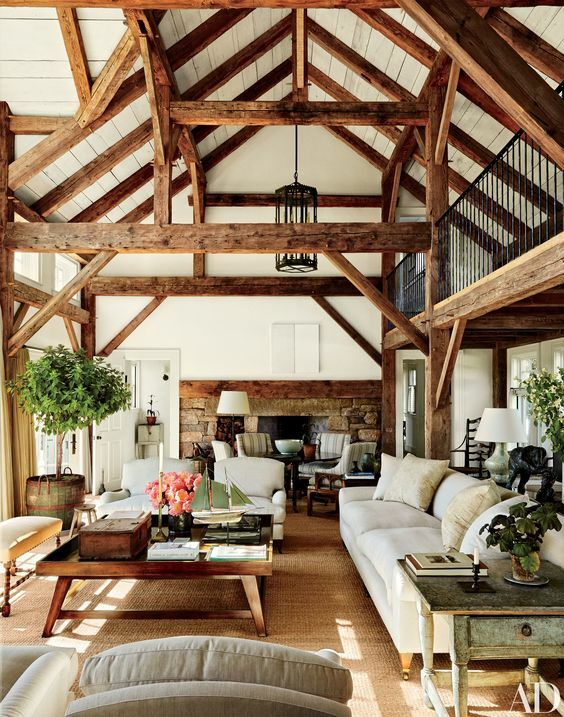 The appeal of country style is that the edges are softened and the look doesn’t have to be perfect. This doesn’t mean that the look can’t be contemporary. 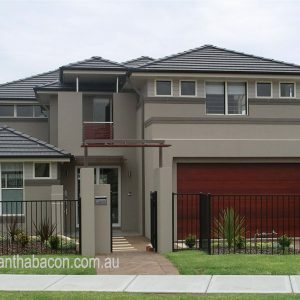 I have come across some beautiful modern country homes in Australia but they still have that element of comfort that is different to an urban style contemporary home. A modern barn conversion, for example, can be very contemporary, wherever it is in the world, but being a country home, the one thing it can’t be is too precious. I believe that country homes should nestle into the landscape rather than dominate it and the choice of exterior colour palette therefore becomes very important. I like any home to relate to its surroundings, to be built with local stone and to be painted in colours that reflect the locality. 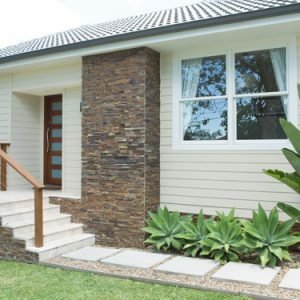 Country style exteriors should have all natural elements and the palette should be made up of neutrals and soft whites rather than strong contrasting tones. Practicality is so important in a country scheme. 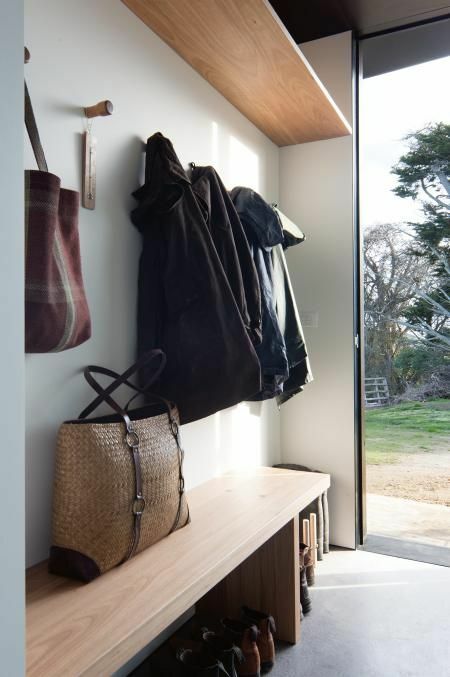 Flooring needs to stand up to the rigours of dirty boots and shoes and so if you have space, a mudroom is an essential room. Somewhere for muddy boots, umbrellas and raincoats to be stored. 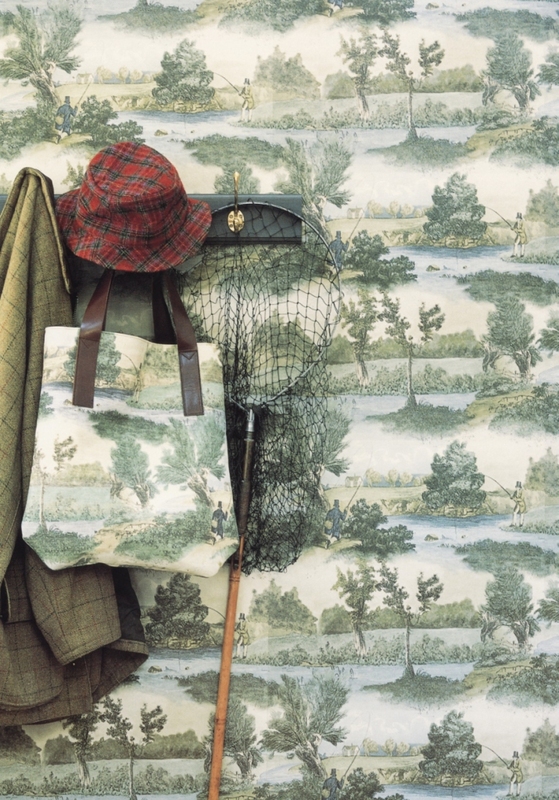 But don’t let practicality dictate how you decorate your mud room – some fly fishing wallpaper perhaps? 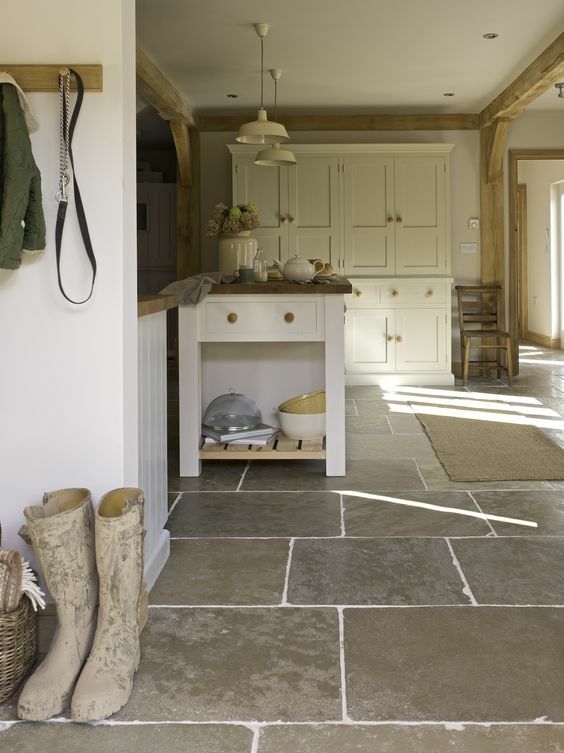 Keeping in mind the mantra that a country style should be relaxed and comfortable your choice of flooring is important. 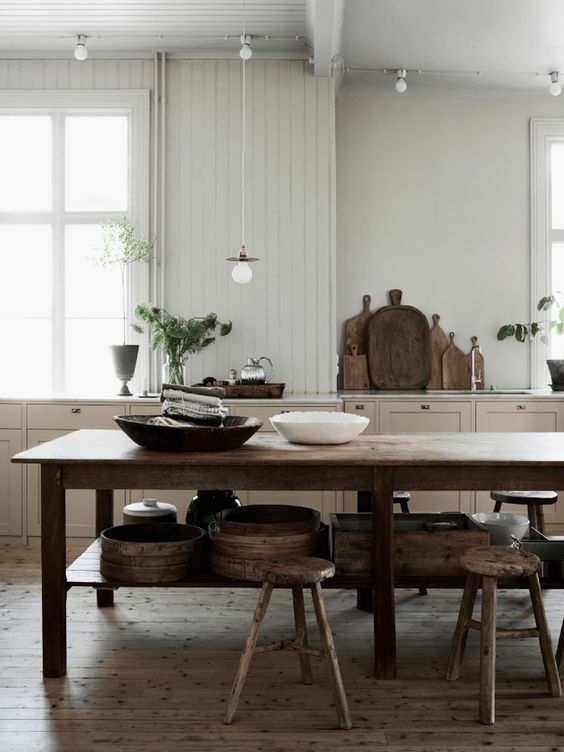 If you have a beautiful old farmhouse then the chances are that you already have either timber hardwood or natural stone for your floors and if not, this is what I believe you should install. Some natural stone can look great for bathrooms, entrances and mudrooms and is very practical in kitchens and open plan dining areas but otherwise I feel this look can be too cold to take through the house so living and bedrooms with aged timber floors is the perfect combination. 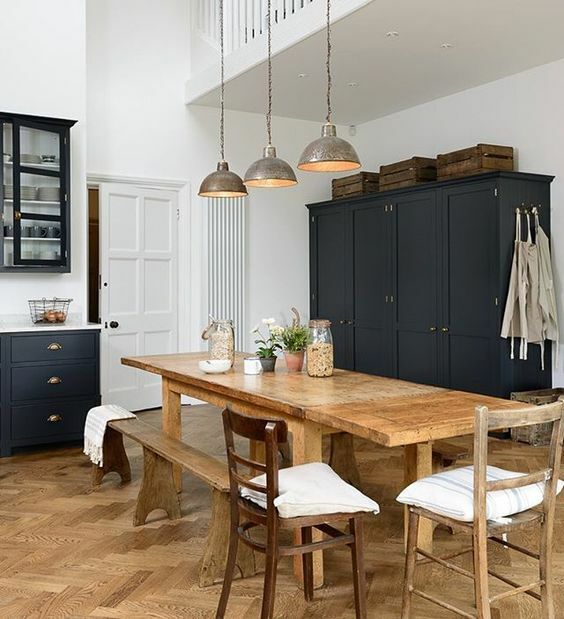 Original timber floorboards look just as good, if not better, if they have some scratches – they tell a story which is what this look is all about. Rugs are essential though with any type of hard flooring and if you do want fitted carpet, ensure that it is a natural fibre like wool or even hemp or sisal – I don’t like synthetic carpets in any setting but they are certainly out of place in a country style scheme. I like soft muted colour palettes for this look and lean towards warm whites and greys rather than the more contemporary blue whites and steely greys. 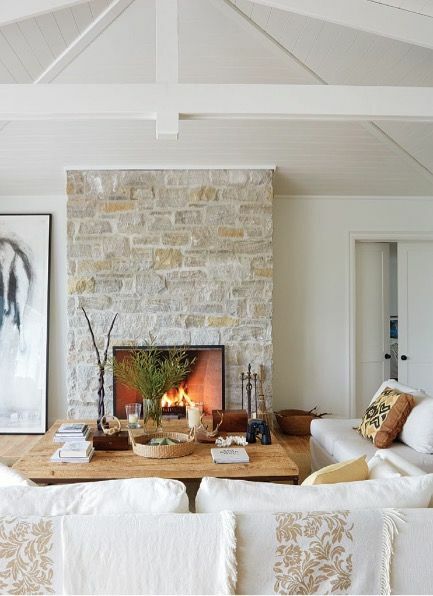 I like to introduce natural stone into a farmhouse scheme for feature walls and fireplaces and if possible this should reflect the local stone which is often warm tones of sandstone or limestone. 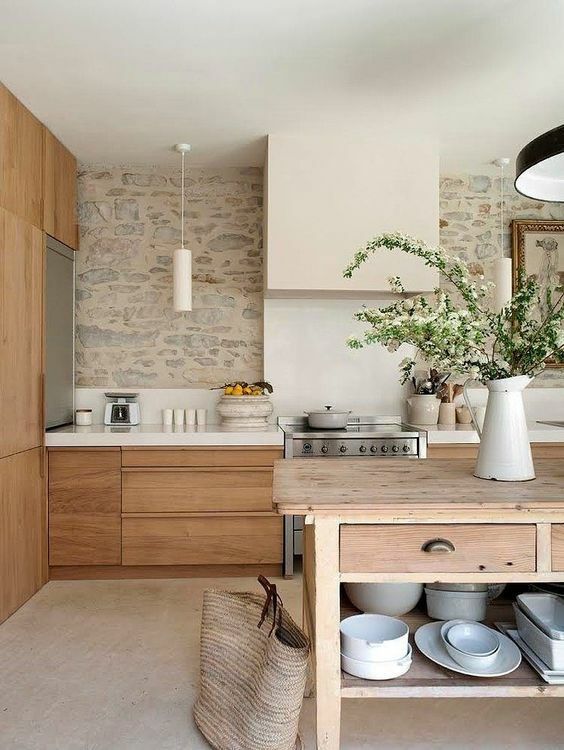 If you are using a natural stone, be guided by this and the colour of your flooring to help you to build up a suitable colour palette. 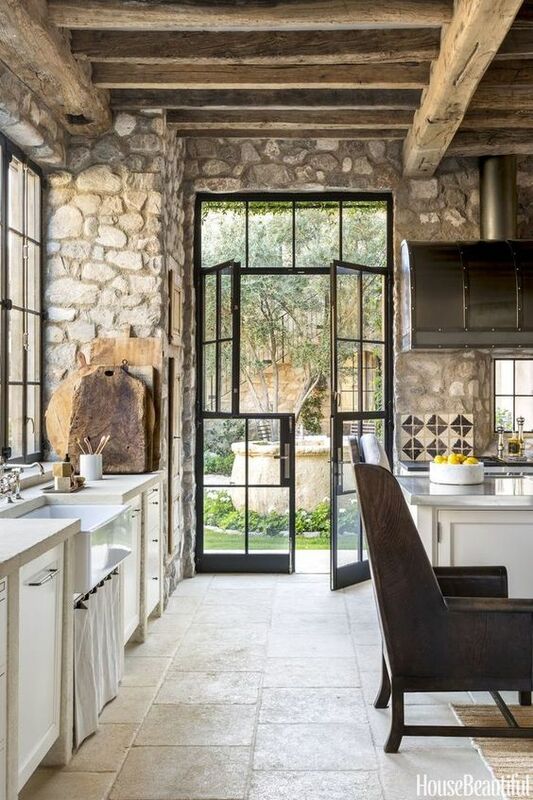 This gorgeous kitchen in Scottsdale, Arizona is the perfect example. Gather samples of all of these elements and consider the amount of natural light that you have before settling on a colour palette. 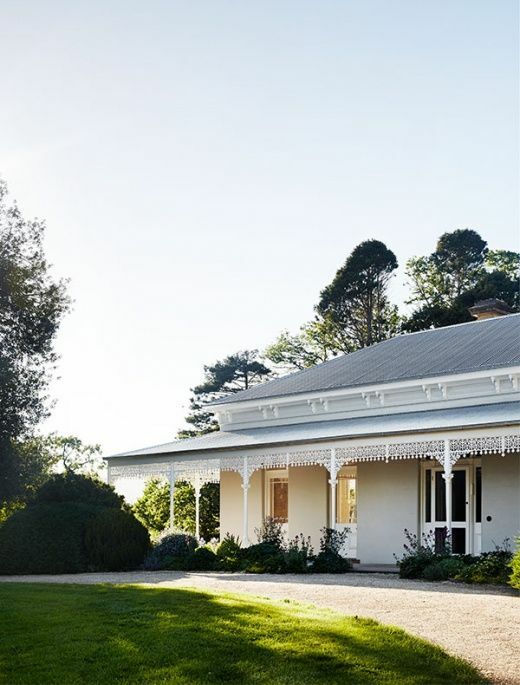 Remember that in many farmhouse schemes, there will be a gorgeous wrap around verandah. As lovely as these are, they can tend to make an interior cool and dark. Perfect for summer but not so great in the winter, which is why I feel these warmer palettes with chalky whites tend to suit this look. Remember to include fabric samples in your colour palette as often you can take the lead for your white and neutral selection from these. It’s really important to remember when selecting a white to consider the light and the mood that you want to achieve. A warm white that you may consider outdated on the colour card may be just right for your environment. 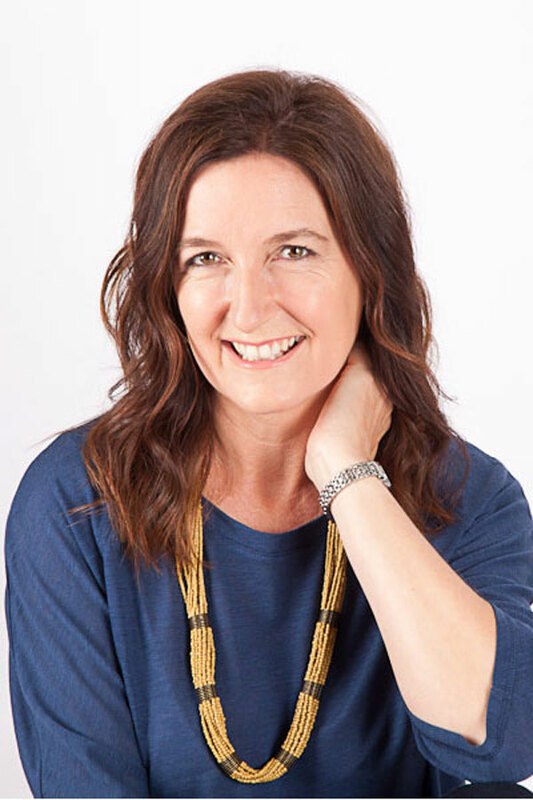 If you don’t add another white to the equation the warmer white will just look like a simple white that is right for the space – you won’t necessarily see the underlying colour – it just works, naturally. Nothing about a country style farmhouse look should be polished, so matt finishes, soft chalky limewashes and traditional paints with beautiful depth are perfect for this look. Fabric designs and colours should be muted too – garish colours and styles don’t really suit this look. 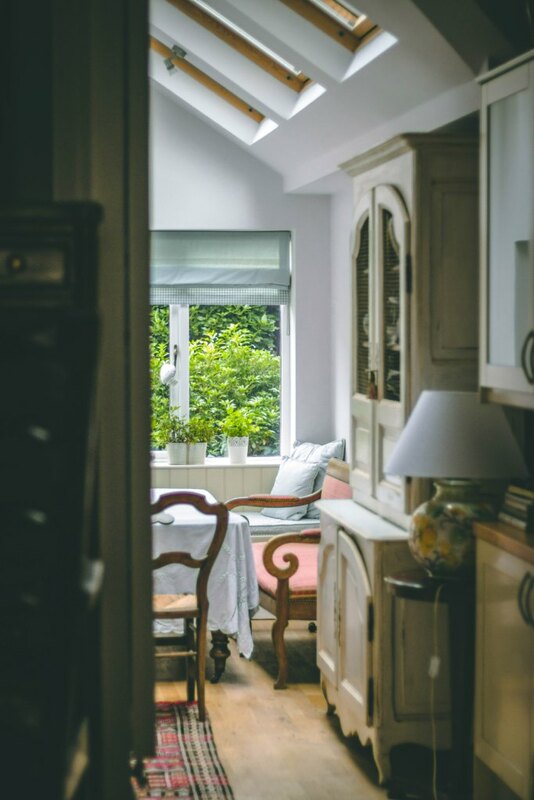 The kitchen is generally the heart of any home but this is absolutely the case for a country style. 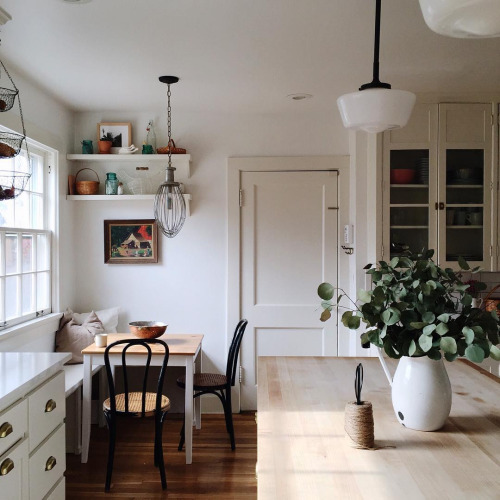 A farmhouse kitchen will be where friends and family congregate and the space should be generous and homely. A traditional range, timber or stone work surfaces and soft tones on the joinery work best for this look. A white kitchen should be an off-white, while gorgeous blues, muted greens and soft greys all look great for this style. Traditional hand-painted cabinetry is a particular favourite of mine for this style. 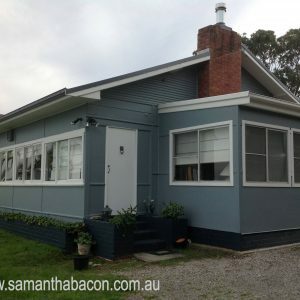 For those dreaming of some land where they can live sustainably, with a veggie patch, some chickens and lots of space for children to play in, it follows that the kitchen should be a place where you can cook and preserve all this great produce. 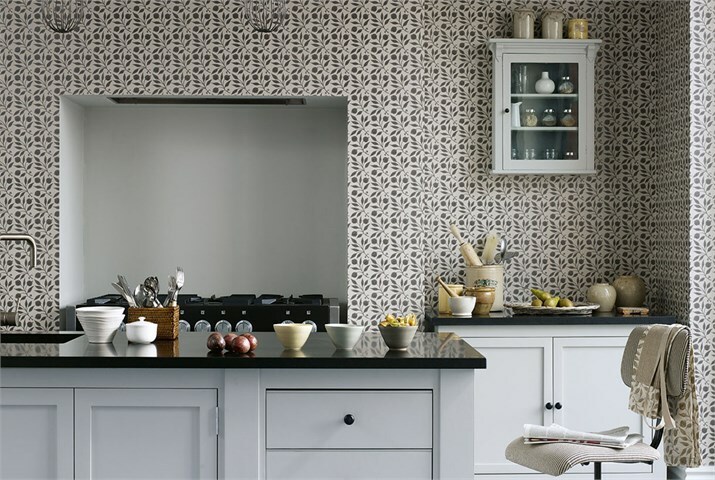 A farmhouse kitchen is therefore like a commercial kitchen – this is serious cooking territory! 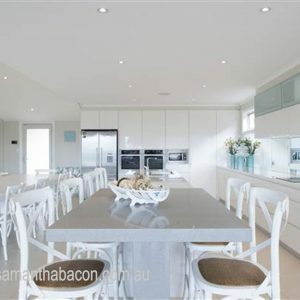 If you have a grand country home then you will probably have a formal dining room but even if you do, no country style scheme is complete without a farmhouse table in the kitchen or in an open plan kitchen/living zone. The dining table should preferably be long, timber and ideally of some age. A simple rattan or ladderback chair is perfect and they do not necessarily need to match. Breakfast style nooks with old church pews or comfortable upholstered seating in a pretty fabric are also perfect for this look. A view to the garden is a must so that you can sit with your morning coffee and enjoy the view. Remember the country style look is about being relaxed and comfortable so always bear this in mind when choosing any furnishings. Comfy sofas with easy to wash slip covers, leather accent chairs, generously sized area rugs and convenient tables for books, magazines and wine glasses/coffee cups are essential elements in a country style living room. A home in the country usually has a dog or two in the family and lots of visitors so you need upholstery and furniture that stands up to some wear and tear while still looking good. 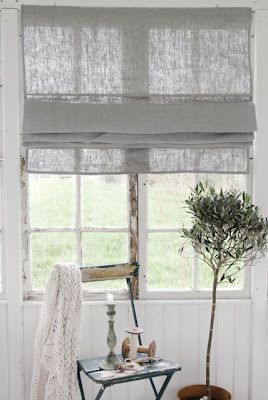 Decorating a country style bedroom can be fun as you can introduce some more feminine pretty fabrics here. 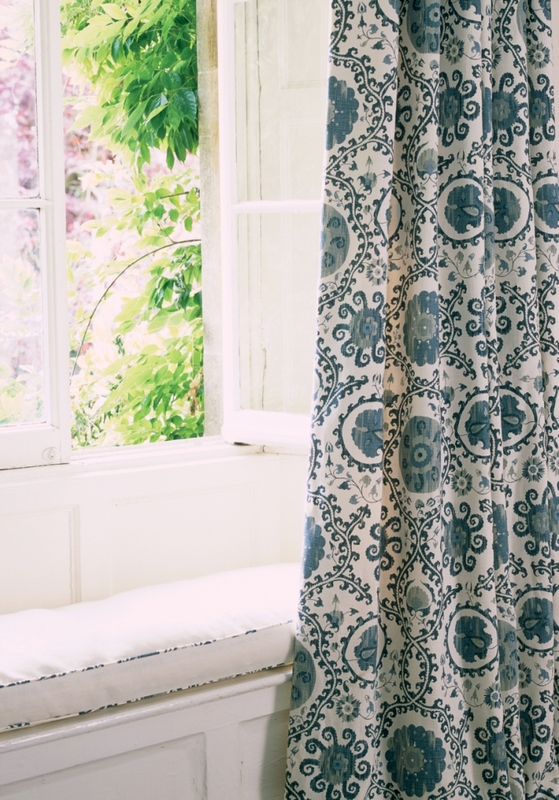 Country homes should really link with their setting and so floral fabrics really suit this look. 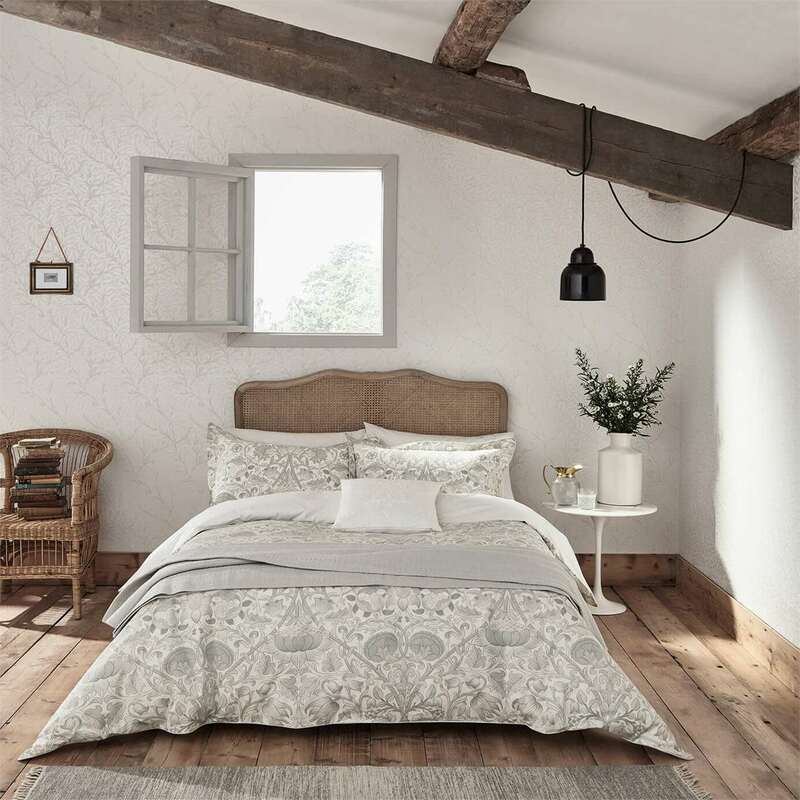 Upholstered or timber bedheads work but the real classic for a country style bedroom is the traditional iron bedhead – you can’t go past this for a simple, paired back country look. Keep the colour palette simple though so that you maintain a calm but uplifting feel to the room. Soft whites and greys with accents of greens and blues work well as they are the most restful colours in the spectrum. If you have an opportunity for a window seat, all the better. A beautifully upholstered window seat with a view to the garden is a perfect addition to any room in the house, but particularly the bedroom. 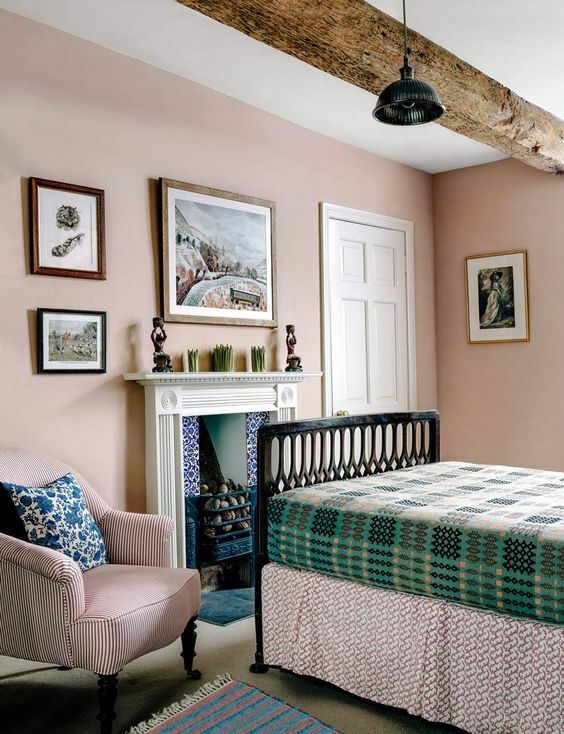 Blush pink is a good wall colour as an alternative to white or grey as it is beautifully soft and is the perfect look for a country bedroom. 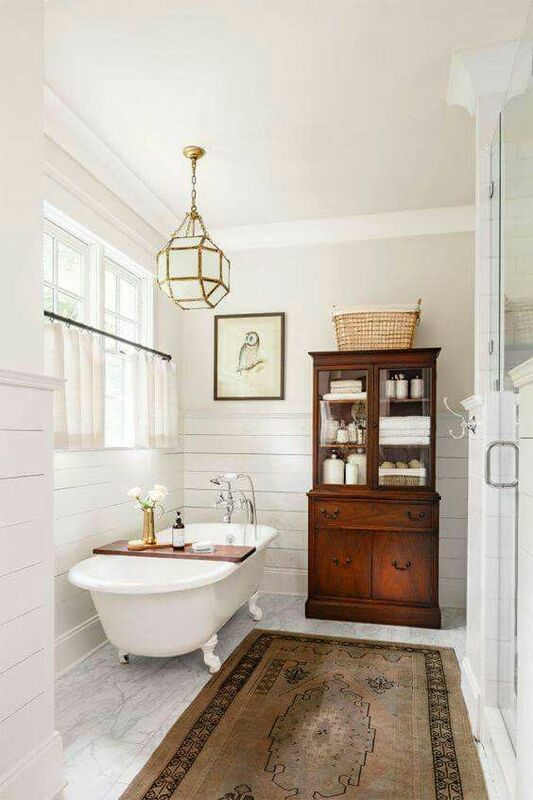 Nothing should be too sleek with a country style bathroom. 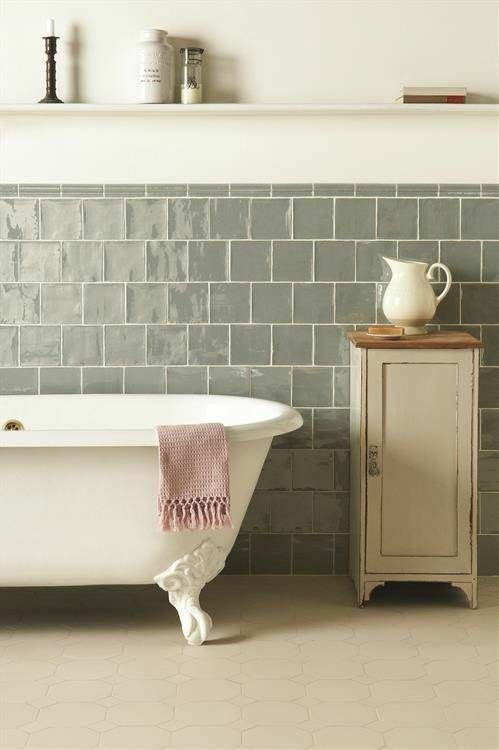 A freestanding bath, preferably vintage style with claw feet, a minimum amount of wall tiles and interesting vanity ideas are the key to a good country style bathroom. Add some individual styling touches and make the bathroom more of a room that you can linger in. 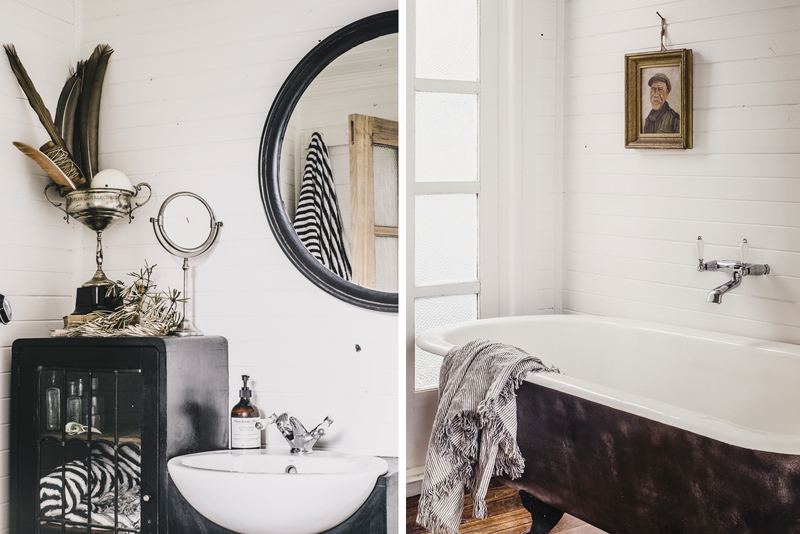 Shiplap panelling can really make a country style bathroom. Dress the bathroom as you would any other room with beautiful freestanding furniture and rugs. These are just some of my favourite Country Style images which range from a cute cottage in the English countryside, to an Arizona farmhouse and onto a grand Australian cattle station. I love the entire range, mainly because although it is a style, it is an enduring one rather than an amazingly on-trend one. Many of these room images have been around for a very long time, as have the houses, and I still love them. Nothing is too on-trend or perfect and certainly nothing has appeared on a recent reality TV show. This last point, I find particularly comforting! 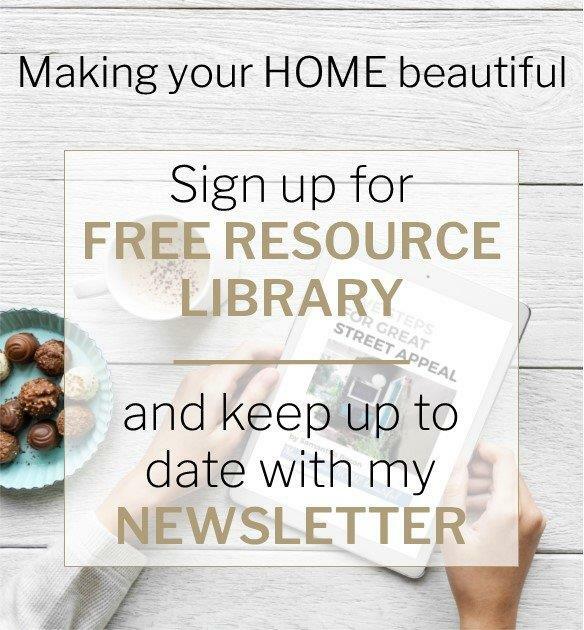 Do you have a country home? If so I would love to hear from you – let us know about your country style and don’t forget to ask me any questions you may have.